Throughout history many great kings led their kingdoms through war and peace. But now it is the women's turn. 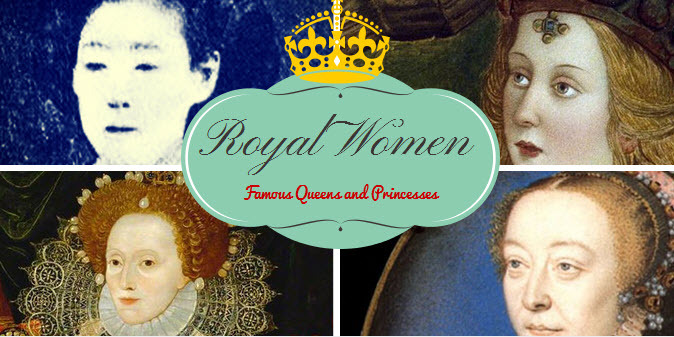 Many great and powerful queens, princesses, and ladies have graced history. Through years of war, golden ages of art, and countless scandals, these women, both famous and infamous, have sculpted history and changed the way the earth revolved forever. Learn who are the famous old ladies that the world adored and revered. At the dawn of the 20th century, Queen Victoria still reigned over the British Empire. Russia was ruled by an all-powerful tsar. China had an emperor, as did Ethiopia and Germany. Greece, Italy and Portugal all had kings. Serbia was an independent kingdom. The kingdom of Jordan did not yet exist. Obviously, a lot has changed in 100 years. Yet royalty plays a larger role in the modern world than you might think. Who are today's monarchs, and how did they manage to emerge from the tumult of the 20th century with their crowns intact? BAHRAIN has been ruled by the al Khalifa dynasty since 1783. It became a British protectorate in the 19th century, and declared its independence in 1971. The country is a traditional monarchy with no political parties or elections. It did briefly have a constitution which allowed for an elected parliament, but both were suspended in 1975. The emir, Sheik Isa bin Salman Al Khalifa, died suddenly of a heart attack on March 6, 1999. He was 66 years old and had ruled Bahrain since 1961. His son, 49-year-old Sheik Hamad bin Isa Al Khalifa, immediately assumed the throne. BELGIUM: When Germany invaded Belgium in 1914, King Albert I took personal command of his army. Finally, in 1918, with the help of French and British forces, Albert defeated the Germans at the Battle of Flanders and drove them out of Belgium. His son and successor, Leopold III, cooperated with the Nazis during World War II and became so unpopular that he was forced to abdicate in favor of his son Baudouin. King Baudouin died in 1993 and was succeeded by his brother, King Albert II, who continues to reign today. The king of Belgium does not actually govern and cannot take any official action without the approval of a minister. BHUTAN's king, Jigme Singye Wangchuck, assumed the throne in 1974. He is the fourth king in the Wangchuck dynasty, which was established in 1907 when his great-grandfather was elected to the position of absolute monarch. Today's king has been moving the country toward a more democratic form of government. The king has said, "A monarchy is not the best form government because a king is chosen by birth and not by merit. The people of Bhutan must be able to establish a system which works for them." BRUNEI has been ruled since 1967 by Sultan Hassanal Bolkiah, whose royal dynasty dates back to the 4th century. Once a British protectorate, Brunei became independent in 1984. The sultan controls all branches of Brunei's government and is also the country's religious leader. The country's oil reserves have made the sultan of Brunei the world's wealthiest head of state, with a fortune estimated at $30 billion. CAMBODIA: At the start of the 20th century, Cambodia was a French protectorate. The current king, Norodom Sihanouk, was elected by a royal council in 1941. In 1953, after France refused to grant Cambodia's independence, Sihanouk chose to go into exile. In 1955 he abdicated, but he remained active in Cambodian politics and eventually became head of state. After being ousted in a coup in 1970, he joined forces with a rebel group, the Khmer Rouge, who seized power and made Sihanouk their head of state. He was eventually placed under house arrest by the regime. Over one million people died during the Khmer Rouge's brutal reign. Sihanouk went into exile in 1981 but returned in 1991 after the Khmer Rouge signed a peace treaty with opposing groups. In 1993 Cambodia once more became a constitutional monarchy with Sihanouk as king. DENMARK was neutral in World War I, but the Germans occupied the country during World War II (1940). The popular King Christian X stood up to the Nazis and was placed under house arrest (actually, castle arrest!) in 1943. Denmark was liberated by the British in 1945. Christian died in 1947 and was succeeded by his son, Frederick IX. After Frederick's death in 1972, the throne passed to his daughter, Queen Margrethe II, who still reigns today. JAPAN is a constitutional monarchy. The current emperor, Akihito, is said to be descended from Japan's first emperor, Jimmu, whose reign began in the 7th century BC. Akihito's father, Hirohito, became emperor in 1926. He opposed the Japanese military's actions in World War II but was unable to prevent the war. Traditionally the emperor was considered a god, but after the war Hirohito renounced his divinity and his supreme power. Since then the emperor has played a ceremonial role. JORDAN: At the start of the 19th century, Jordan belonged to the Ottoman empire. For a brief time after World War I, it was part of the kingdom of Syria. Then it fell under the rule of Great Britain and became Transjordan, with Abdullah bin Al-Hussein as its emir. In 1946 the country gained its independence and became the Hashemite Kingdom of Jordan. Abdullah was its first king. In 1951 Abdullah was assassinated by a Palestinian who resented him for political reasons. The assassin also fired at the king's grandson Hussein, but the bullet bounced off a medal Hussein was wearing over his heart. After Abdullah's death, Hussein's father Talal ascended the throne. He was soon declared unfit to rule because of mental incompetence, and in 1952 sixteen-year-old Hussein was proclaimed king of Jordan. A respected voice for peace in the Middle East, King Hussein ruled until 1999, when he died and was succeeded by his eldest son, King Abdullah II. KUWAIT is a constitutional monarchy. The al-Sabah dynasty has ruled the country for more than 200 years. The country became a British protectorate in 1899. It gained its independence in 1961. Although Kuwait has a national assembly, the emir, Sheikh Jabir al-Ahmad al-Jabir Al Sabah, maintains a great deal of authority over the government. In 1999 the Kuwait Democratic Forum issued a statement calling for a separation between the offices of crown prince and prime minister, and an end to the royal monopoly on government posts. LESOTHO is also a constitutional monarchy. The royal family's founder, Moshesh, placed his country, then called Basutoland, under British protection in the mid-19th century. Lesotho became independent in 1966. Prime minister Leabua Jonathan suspended the constitution in 1970, removing the king's power. In 1990 King Moshoeshoe II went into exile and his son Letsie III became the country's figurehead monarch. In 1994 Letsie seized control of the government, promising the people that he would put his father back on the throne. He abdicated in January 1995 in favor of Moshoeshoe, but a year later Moshoeshoe was killed in a car accident and Letsie III once more became king. He has sworn an oath not to become involved in politics. LIECHTENSTEIN had three monarchs in the 20th century. The first, Johann II, made his home in Austria, as his predecessors had done. His son and successor, Franz Josef II, became the first monarch of Liechtenstein to actually reside in the country. Franz Josef reigned for 51 years. He died in 1989 and was succeeded by his son, Prince Hans-Adam II. In 1999 Hans-Adam II said that the monarchy should be based on democratic principles. However, he is said to be willing to go into exile rather than give up his tremendous power over the government. LUXEMBOURG was invaded by Germany in 1914, during the reign of Grand Duchess Marie-Adelaide. The Germans occupied the country until the end of the First World War. In 1919, Marie-Adelaide abdicated and her sister Charlotte became the new grand duchess. Germany invaded again during World War II, forcing Charlotte to flee to London. She returned after the war. In 1964 Charlotte abdicated in favor of her son Jean, who is the current grand duke. Jean has announced that he will abdicate in September 2000 in favor of his son Henri. Luxembourg is a constitutional monarchy; the monarch swears to observe the country's laws and has little political power. MALAYSIA was dominated by Great Britain in the early part of the 20th century. Parts of Malaysia were occupied by Japan during World War II. After the war, Britain returned to power and worked to grant independence to its Malaysian territories. The federation of Malaysia was formed in 1963. Nine of its states have constitutional monarchs. Malaysia's head of state is chosen from among these hereditary rulers and serves a five-year term. The current paramount ruler, or Yang di-Pertuan Agong, is the sultan of Selangor, Salahuddin Abdul Aziz Shah. MONACO: The Grimaldi family has ruled Monaco for more than 700 years. The country gained its current constitution in 1911 during the reign of Prince Albert I. He was succeeded in 1922 by his son, French army general Prince Louis II. Louis died in 1949 and was succeeded by his grandson, Rainier III. The tiny principality became world famous in 1956 when Prince Rainier married American movie star Grace Kelly. Their only son, Prince Albert, is the heir to the throne. No mere figurehead, the monarch wields a great deal of power in Monaco. MOROCCO has been ruled by the Alaovite dynasty since 1660. In the early 20th century, the European powers vied for power in Morocco. Sultan Abdul Aziz IV displeased Moroccans by cooperating with the French and was deposed in 1908. His brother, Abdul Hafid, took the throne but abdicated after the kingdom became a French protectorate in 1912. He was succeeded by his brother Yusuf. Yusuf's son Mohammed V, who became sultan in 1927, was a widely respected nationalist. He was deposed by the French in 1953 but they returned him to his throne in 1955. Morocco became independent the following year and Mohammed took the title of king. His son, King Hassan II, died in 1999. The current monarch is Hassan's son, King Mohammed VI. The king has complete control over the government. NEPAL: At the beginning of the 20th century, the king of Nepal had little real power. Instead the country was controlled by a family called the Ranas. Democracy was instituted in the early 1950s with the approval of King Tribhuvan Bir Bikram, who wished to end the rule of the Ranas. Tribhuvan became a constitutional monarch, but took control of the government. His son and successor, King Mahendra, grabbed more power and ended up an absolute monarch. In 1990 Mahendra's son, King Birenda, bowed to pressure from his subjects and proclaimed a new constitution which returned the kingdom to democracy. The king remains the head of state. NETHERLANDS: Women reigned in the Netherlands throughout the 20th century. Queen Wilhelmina inherited the throne in 1890, when she was ten. Her mother, Emma of Waldeck-Pyrmont, served as regent until Wilhelmina turned 18. Wilhelmina helped her country remain neutral during World War I. The Nazis invaded the Netherlands in 1940 and the queen escaped to England. From there she brought hope to her occupied nation through regular radio broadcasts. She returned home in 1945 and abdicated three years later in favor of her daughter Juliana. Queen Juliana reigned until 1980, when she too abdicated in favor of her eldest daughter, Beatrix. Queen Beatrix continues to reign today. Her mother, now called Princess Juliana, celebrated her 90th birthday in 1999. NORWAY became independent from Sweden in 1905. The new government offered the crown to King Frederick of Denmark's second son, Prince Carl. He accepted it and chose the reign name King Haakon VII. Like the Netherlands, Norway remained neutral in the First World War but was invaded by Germany in WWII. And like Queen Wilhelmina, King Haakon fled to England, remained in exile for five years, and was welcomed by exultant crowds upon his return home in 1945. After his death in 1951 he was succeeded by his son Olaf V. King Olaf died in 1991; the present king is his son, Harald V. Both the Netherlands and Norway are constitutional monarchies; neither monarch has much real power. OMAN is ruled by Sultan Qaboos al Said, a member of the Al-Busaid dynasty, which came to power in the 18th century. His father, Sultan Said bin Taimur, was a dictator who resisted the influence of the Western world. Yet Said was supported by the British government, and his son attended school in Great Britain and served in the British military. In 1970 Qaboos deposed his father and took the throne. Said spent the rest of his life in exile in London. An absolute monarch, Sultan Qaboos has modernized Oman and is thought by some to be inching it toward democracy, although he has stated that the country is not ready for democracy. QATAR has been ruled by the Al-Thani family since the 19th century. Like Oman, Qatar signed treaties with Great Britain and enriched itself by exporting oil. But the people of Oman suffered povery during Sultan Said's reign, while the people of Qatar shared their rulers' prosperity. Qatar declared its independence in 1971, during the reign of Sheikh Ahmed bin Ali bin Abdullah Al-Thani, who was deposed by his cousin Khalifa bin Hamad al-Thani the following year. Khalifa was himself deposed in 1995 by his son Hamad, who abolished censorship and is moving Qatar toward democracy. SAMOA (formerly called Western Samoa) began the 20th century as a German protectorate. It came under New Zealand's control in 1920 and did not achieve independence until 1962. Today the country is a constitutional monarchy. The paramount chief, His Highness Malietoa Tanumafili II, is descended from Samoa's traditional royal family. His power is minimal. He will remain in office for life; after his death, heads of state will be elected by the legislative assembly to serve five years terms. SAUDI ARABIA did not exist as a nation one hundred years ago. The Saud clan, which had ruled part of the Arabian peninsula, was expelled from the emirate of Nejd in the 19th century by the rival Rashid dynasty. In 1902, a member of the Saud family, Abdul Aziz (called Ibn Saud), and his small band of supporters captured Nejd's capital, Riyadh. He went on to conquer central Arabia, and in 1932 his domains officially became the Kingdom of Saudi Arabia. Ibn Saud died in 1952 and was succeeded by his son Saud. An extravagant and incompetent ruler, Saud was deposed by his family in 1964 and replaced by another of Ibn Saud's sons, Faisal. King Faisal did much to moderize Saudi Arabia and was respected around the world, but in 1975 he was assassinated by a disgruntled relative. The next two kings, Khalid and Fahd, were also sons of Ibn Saud. King Fahd still reigns today. The royal family has thousands of members and controls the country's government. SPAIN's first 20th century monarch was King Alfonso XIII (born 1886). He was lucky to escape death in 1906, when a bomb exploded beneath his carriage as he and his bride left the church in which they had just been married. Alfonso survived several more assassination attempts, but went into exile in 1931 after the Republicans came to power. Although he never abdicated, he also never returned to Spain before his death in 1941. In 1947 Spain became a monarchy once more, but it was not until 1975 that Alfonso's grandson, King Juan Carlos, ascended the throne. He continues to reign today, playing a mostly ceremonial role. SWAZILAND was a British territory at the beginning of the 20th century. The king, Sobhuza II, was a minor, so his grandmother, Queen Labotsibeni Gwamile Ndluli, acted as regent until 1921. She rallied the Swazi people to begin buying back their lands from foreigners. In the 1960s Sobhuza founded the the Imbokodvo National Movement, which worked for Swazi independence. That goal was achieved in 1968. In the '70s Swaziland adopted a constitution which gave the king supreme power. King Sobhuza II died in 1982. His wife Dzeliwe Shongwe ruled as regent for a year, then was replaced by another of Sobhuza's widows, Ntombi Latfwala. Her son Makhosetive became King Mswati III in 1986. The king and his mother, whose title is Ndlovukazi (Great She-Elephant), rule jointly.